Recently I wrote an essay at the invitation of the Dutch Ministry of the Interior and Kingdom Relations (BZK). 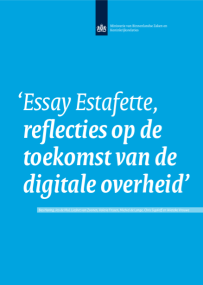 In the essay (Dutch), I argue that the lack of appealing narratives about smart cities is one of the reasons why citizen engagement remains such a big unresolved question. I discuss two emerging alternative narratives that indeed do put people in a central role as agents: the hackable city and the playful city.